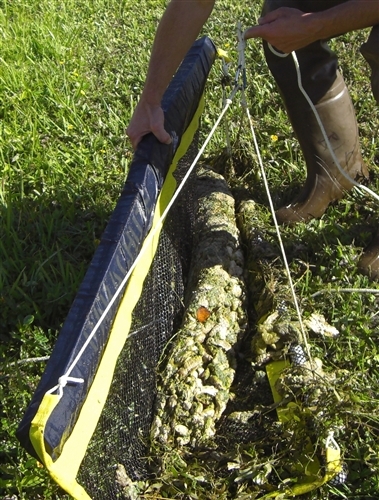 Remove floating debris quickly The patented, Parachute Skimmer™ collection net! 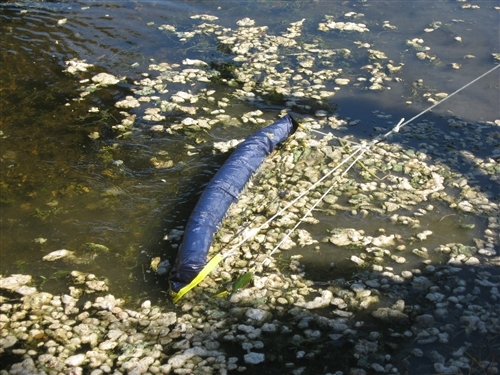 Simply drag across the surface of the water to collect floating debris like algae, duckweed, leaves or dead vegetation. The Parachute Skimmer™ measures 5 feet in width to cover optimal surface area and is constructed with an ultra tough collection screen. The Parachute Skimmer™ can be used on shore or deployed on the front of a boat. 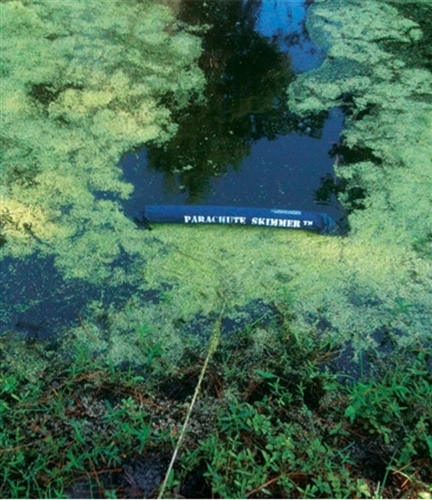 This economical aquatic plant control tool is like a push broom for water. It sweeps a five-foot swath using a mesh screen to capture everything in its path. As the skimmer is pulled from the pond, the device closes and traps the catch. Copyright © 2014 products.hbpondmanagement.com. All Rights Reserved.